When Caitlin and her husband decided to start a family, they wanted to do it right. So, Caitlin did her research, read self-help books about fertility, and downloaded the Kindara appto help her track her ovulation cycle. 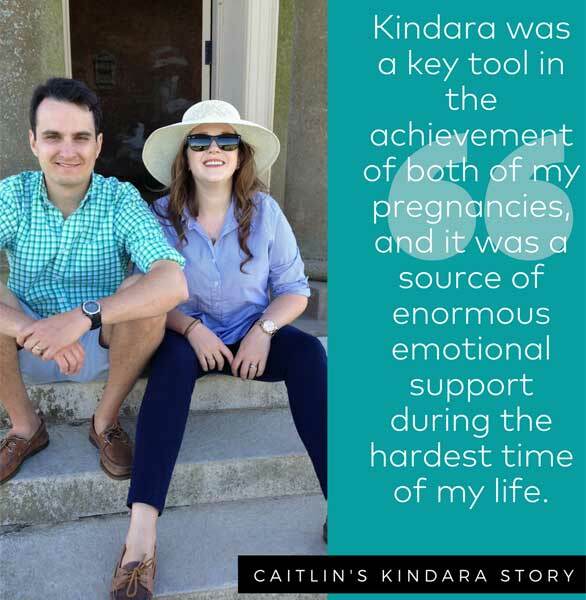 Caitlin and her husband used the Kindara app to help them conceive twice. Unfortunately, that pregnancy never came to term, and the heartbroken couple had to try again. Caitlin returned to the Kindara community where she found “an outpouring of support” from women who had suffered miscarriages or terminated pregnancies for medical reasons. She found solace in this group. “That kept me sane on my journey to conceive a rainbow baby,” Caitlin wrote in her testimonial. “I knew Kindara would be central to our offer to conceive again.” After enduring some dark days, Caitlin and her husband proudly announced they are expecting their rainbow baby. Kindara is among the most popular fertility apps on the market because of its focus on informing women about their bodies’ natural cycles. While keeping them in the know, the app also invites users to join a supportive community of mothers-to-be. Prima-Temp, a healthcare platform for women, recently acquired the company in a bid to expand its medical resources and put a spotlight on fertility issues. Whether you have questions about fertility, menstruation, pregnancy, or women’s health, Prima-Temp can give you the tools to get the answers you need to understand your body and plan your family. You can use Wink by Kindara to take your temperature and automatically upload it to the app. This smart thermometer syncs with Kindara and helps women keep track of their body’s basal body temperature (BBT). They can also choose to share this information with their health practitioners. Kindara offers a fertility-charting tool as well as a social networking platform. 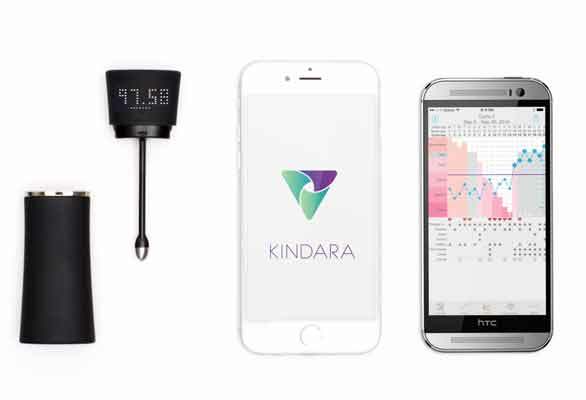 The Kindara app isn’t just a charting tool. It also offers a peer-to-peer community and is based on clinical science. Its comprehensive resourcesinform couples about everything from how to use natural fertility methods to what signs to look out for when charting fertility. Over 1.67 million women have downloaded Kindara and used it to gain insight on their bodies. The app allows users to record their cycle data so they can use the Fertility Awareness Method to help them get pregnant, avoid pregnancy, and simply understand themselves better. Couples trying to get pregnant frequently have difficulty pinpointing the ideal fertility window. It’s like you have to solve a complex math problem just to know when it’s time to try. The Priya system aims to bring clarity to the situation. The soon-to-be-released app and product offer an innovative solution for couples tracking their fertility. Priya is an app designed to accurately predict a woman’s fertility cycle. Priya uses a self-inserted vaginal ring to monitor core body temperature and identify the subtle changes in a woman’s body that occur prior to ovulation. The smart technology detects when the body’s fertility is at its peak, and it immediately sends a notification to the user’s phone via the Priya app. Priya is a personal fertility sensor like no other. The product will unobtrusively monitor your body temperature and automatically upload that information to your phone. The algorithm then makes sense of all that incoming data and uses it to predict when ovulation will occur. Prima-Temp Co-Founder Wade Webster and his wife actually used temperature-tracking technology to conceive their two children, so this is a cause close to the company’s heart. In the last few years, the Prima-Temp team has developed this technology to make pregnancy less a mystery by applying clinical science with technology for everyday couples. By taking advantage of natural fertility cycles, couples can now plan their families with greater accuracy and confidence. Over the years, Kindara has fostered a close-knit community through its app and resources. Hundreds of couples have shared their stories to inspire others, and Kindara members also engage in personal conversations thanks to the app’s community-building features. Women can create private or public groups to network with other women who share their experiences. Prima-Temp has raised awareness about women’s health issues and developed high-tech solutions to help. Women can share and view fertility charts on the app, receiving feedback and encouragement from peers. This can help couples stay motivated through the ups and downs of trying to conceive. Jackie called the conversations taking place on the app “unbelievably inspiring.” Couples struggling with fertility issues take comfort in the fact that they’re not the only ones going through this. Kindara even brings in midwives and other experts to chime in with advice and counseling. The journey to conceiving a child isn’t always easy. It can be a roller coaster of emotional highs and lows, and couples can’t always predict what will happen — or when it will happen. Fortunately, Prima-Temp has stepped in to give women the information they need to make the right decisions and gain more control over their bodies. Prima-Temp now powers Kindara, and, in the near future, Priya as well as other health-focused tools for women. The company’s products have impacted millions of lives and helped establish an online community where couples can support and advise one another about fertility issues. Caitlin and her husband experienced for themselves how meaningful it can be to have people rooting for you during such challenging times.